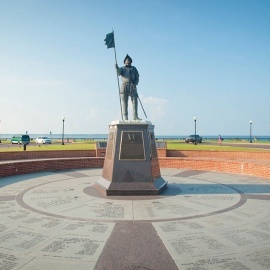 Pensacola is the largest city in the western part of the Florida panhandle. The United States Naval Air Station Pensacola, is located here, which is home to the Blue Angels. Many Blue Angel air shows fly over Pensacola. Being so close to Pensacola Beach, many locals find themselves heading to the beach for their entertainment & relaxation. This area has plenty of bars, clubs & events for nightlife entertainment. You will also find a variety of restaurants to fullfill any hunger craving.